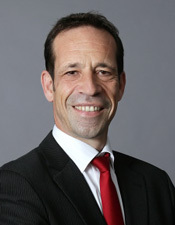 Jochen Wermuth the Founding Partner and Chief Investment Officer of Wermuth Asset Manage-ment GmbH (WAM) and the principal of the Wermuth family office. He serves as a member of the steering committee of the peer-to-peer investor networks “Europeans for Divest-Invest” and “100% Impact Network“ and on the investment committee of the German Government’s new €24.6bn Energy Transition Fund. Alison brings over a decade of experience in corporate finance and social finance. Alison joined Toniic after having led business development at the Social Stock Exchange in London. Alison was part of the team that launched the Social Stock Exchange in 2013 and was responsible for corporate member acquisition and relationship management. She developed the SSE community of investors; working with institutions, family offices, private banks and the retail investor. 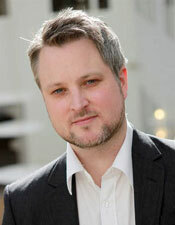 Dr Gerrit Hansen is a researcher and consultant with more than a decade experience in science-based policy advice. Her expertise spans climate change impacts, mitigation and adaptation, international climate policy, green finance, renewable energy technologies, and sustainable development. 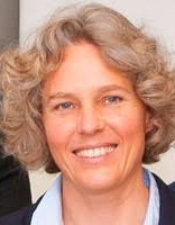 She holds a doctorate from Wageningen University in the Netherlands, a diploma in environmental engineering from the Technical University Berlin, and a Master of Science degree in global change management from the University for Sustainable Development Eberswalde. Her academic career includes positions at the Potsdam Institute for Climate Impact Research (PIK), with the Intergovernmental Panel on Climate Change (IPCC), and at Germanwatch e.V., an environmental NGO and think-tank. 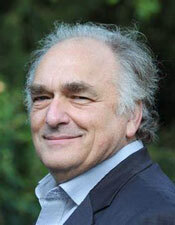 Dr Hansen is also a freelance consultant and professional mediator. 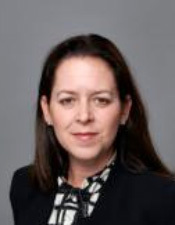 Dana Barsky is the Chief Operating Officer and Head of External Partnerships for the Impact Advisory and Finance (IAF) Department of Credit Suisse based in London. The IAF Department is responsible for setting the strategy as well as directing, coordinating and facilitating activities across the bank which leads to sustainable finance on behalf of the bank’s private wealth, institutional and corporate clients. The IAF Department reports directly to Tidjane Thiam, the CEO of Credit Suisse. Prior to joining the IAF Department, Ms Barsky was an investment banker, focusing her career on mergers and acquisitions and has advised companies across a wide variety of industries – technology, consumer products, healthcare, industrial products, and retail – at Credit Suisse and Donaldson, Lufkin & Jenrette. 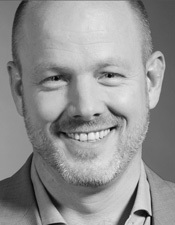 Mike Rann is Chief Executive Officer of the Rann Strategy Group (RSG), based in London with affiliates in Rome, Milan, Washington, Copenhagen and Sydney. Mr Rann is also Visiting Professor at the Policy Institute of King’s College London and is a member of the King’s Commission for London. He is a board member of the UK headquartered The Climate Group and the Chair of the international charity Power of Nutrition. Until early last year Mr Rann was Australia’s Ambassador to Italy, Libya and Albania, based in Rome. He was also Australia’s Permanent Representative to the UN’s Food and Agriculture Organization and World Food Programme. Between 2012 and 2014, Mike Rann was Australian High Commissioner to the United Kingdom, and Permanent Representative to the UN’s International Maritime Organisation. 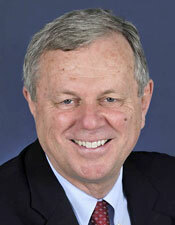 Mike Rann was Premier of South Australia between March 2002 and October 2011. He was leader of the South Australian Labor Party for a record 17 years. The Rann Government invested strongly in re-vitalising South Australia’s capital city, Adelaide, through a new approach to planning and urban design, a major “greening” program as well as large investments in transformational infrastructure, high tech precincts, transport-oriented developments, and major events and festivals. Kingsmill Bond is the New Energy Strategist for Carbon Tracker. He believes that the energy transition is the most important driver of financial markets and geopolitics in the modern era.Kingsmill has worked as a sell-side City equity analyst and strategist for over 20 years, including for Deutsche Bank, Troika Dialog and Citibank in London, Hong Kong and Moscow. He has written research on emerging market and global themes, including the wider significance of the shale revolution and the impact of the energy transition on financial markets. Kingsmill has an MA in history from Cambridge University, qualified as an accountant (CIMA), and is a Chartered Financial Analyst (CFA). Kingsmill Bond is the New Energy Strategist for Carbon Tracker. Kingsmill has worked as a sell-side City equity analyst and strategist for over 20 years, including for Deutsche Bank, Troika Dialog and Citibank in London, Hong Kong and Moscow. He has written strategy on emerging markets and global themes, including the wider significance of the shale revolution. He worked for many years in Russia, which is the world’s largest exporter of fossil fuels, and deeply impacted by the transition. Thorsten Herdan was born on 10 July 1966. He was appointed Director-General for energy policy in the Federal Ministry for Economic Affairs and Energy as of June 2014. He previously held the positions of managing director of the professional association for producers of power systems and the professional association for producers of engines and systems (VDMA). He further held the role of managing director of the Research Association for Combustion Engines (FVV), and of managing director of the German Engineering Federations’ Energy Forum, which is in charge of developing the Federation’s energy policy. Mr Herdan served on the Board of the European Association of Internal Combustion Engine Manufacturers (EUROMOT), on the Board and the Supervisory Board of the European Wind Energy Association (EWEA), and as Vice-President of the Offshore Wind Energy Foundation. Further to this, Mr Herdan has also served as Chairman of the Supervisory Board of the Fund for Nuclear Power Plant Waste Disposal since 9 March 2017. 27th January, 2018, Annalena Baerbock was elected Chairwoman of the Green Party of Germany. She has been a member of the German Bundestag since 2013 and, in the current election period of 2017-2021, is a member of the Committee on Family, Senior Citizens, Women and Youth as well as a deputy member of the Committee on Economic Affairs and Energy and the Committee on the Affairs of the European Union. After the federal elections of 2017, she was member of the exploratory talks between the Green Party, CDU/CSU and FDP. In the election period 2013-2017, Annalena Baerbock served as Spokesperson for Climate Policy of the Green Parliamentary Group and deputy member of the Parliamentary Assembly of the Council of Europe as well as member of the Parliamentary Advisory Council of the German Renewable Energy Federation (BEE). Annalena Baerbock was a member of the Party Council of the Green Party of Germany from 2012 to 2015. Additionally, she served as Board Member of the European Green Party (2009-2012). Previous to her mandate in the Bundestag, Annalena Baerbock was Chairwoman of the Green Party of Brandenburg (2009-2013). She worked as Political Advisor on Foreign and Security Policies for the Green Parliamentary Group in the Bundestag (2008-2009) and parliamentary advisor to MEP Elisabeth Schroedter (2005 – 2008). Annalena Baerbock graduated from the London School of Economics (LSE) in 2005. She holds a LL.M in Public International Law. For the past fifteen years, Rubinstein, the CEO of TBLI GROUP, has been instrumental in integrating ESG and TBLI into the culture and strategy of international corporate business and investment companies. He has taught courses in sustainable finance and currently delivers lectures at international Business Schools, and provides TBLI consulting and training for investment firms, pension funds, hedge funds, and international businesses. Mars Geuze is the Commercial Director at Hardt Hyperloop, Europe’s first hyperloop company. Hardt is shaping a broad public-private partnership on the development and implementation of hyperloop. Before co-founding Hardt Hyperloop, Geuze led the technical team of Delft Hyperloop, winning Elon Musk’s SpaceX Hyperloop Pod Competition by successfully testing the first hyperloop in cooperation with over 75 private and public partners. Geuze has been involved in the energy transition in the automotive sector for several years, leading a team in the development of the electrical system of an electric race car at Formula Student Team Delft. Geuze holds a B.Sc. degree in Applied Physics from the Technical University of Delft. 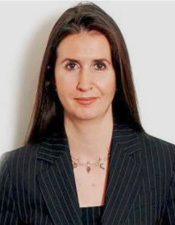 Katherine is Managing Director and Chief Executive Officer of Gulf International Bank (UK) Ltd, (GIB UK) the UK subsidiary of Gulf International Bank B.S.C. owned by the governments of the six GCC countries, with the Public Investment Fund of Saudi Arabia being the primary shareholder. GIB UK was established in 1975 and focuses on client-related activities in asset management, treasury and structured finance. Katherine was formerly Chief Executive and Chief Investment Officer of Alliance Trust PLC, one of Europe’s largest providers of sustainable and responsible investment funds. She is a Member of the Supervisory Board of Deutsche Bank AG and is a Trustee and Chair of the Investment Committee of the Baring Foundation. She is also a Trustee of CDP, formerly the Carbon Disclosure Project, which runs the global disclosure system enabling companies, cities, states and regions to measure and manage their environmental impacts. She served as a member of the UK Prime Minister’s Business Advisory Group from 2012-2015 and the Scottish Business Board during the same period. Katherine is a British Business Ambassador for Financial Services, appointed by the UK Prime Minister to be an advocate of the UK abroad, promoting the UK’s excellence, economy, business environment and reputation as the international trade and inward investment partner of choice. Katherine was a Member of the Commission for the Green Investment Bank reporting to the Chancellor of the Exchequer and a Steering Group Member of the Capital Markets Climate Initiative reporting to the Department of Energy and Climate Change. 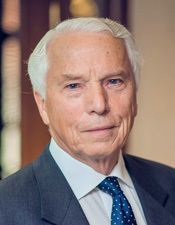 Dr. von Ploetz has been a member of the German Foreign Service from 1966 to 2005. He held a number of senior posts where he dealt with international economic and high-tech cooperation. He was bureau chief of the German Foreign Minister (1982-85), deputy political director (1985-88), German Permanent Representative on the NATO-Council (1989 – 1993), General Director for European Integration (1993-94) and State Secretary (1994-99) in the Foreign Office in Bonn and Berlin. Between 1994 and 1999 Dr. von Ploetz served as a member of the supervisory board of DEG, the government-owned German development bank. In 1999 he was appointed German Ambassador to the UK and in 2002 to the Russian Federation. In 2009/2010 he was a member of the Group of Experts on NATO’s new strategic concept – which was adopted by the NATO Summit of November 2010. After retiring from the Foreign Service, Dr. von Ploetz advised Deutsche Bank and British Petroleum on their business in Eastern Europe. 2005-2013 he was a member of the International Advisory Committee of Robert Bosch GmbH, and from 2008 to 2012 of the Bosch Supervisory Committee. Dr. von Ploetz also served on the boards of other high-tech and “green” German companies. Since 2009 he has been a senior adviser to WAM. Also, he serves as a Chairman of the Investment Advisory Council of the GGF1 In this role he has effectively worked full-time for the past years, supporting portfolio companies to both gain international business and to address problems which occurred when selling to emerging markets at times. 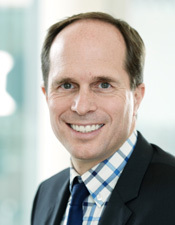 Since April 2018 Mr Kukies is the State Secretary at the Federal Ministry of Finance and is responsible for the financial market policy and European policy. He studied Sciences Economiques at the Pantheon-Sorbonne University in Paris from 1990 – 1994 and finished with a Master in Public Administration at John F. Kennedy School of Government at Harvard University 1997. After that he also graduated as a Ph.D. in finance at the University of Chicago in 2001. 2001 – 2004 Mr Kukies worked as an associate in the product development team at Goldman Sachs International in London. 2004 – 2011 he first worked as an associate and from 2007 he was the head of the equities division for Germany and Austria at Goldman Sachs International in Frankfurt. Turning back to Goldman Sachs International in London in 2011, Mr Kukies was the head of equity derivatives for Europe, the Middle East and Africa. 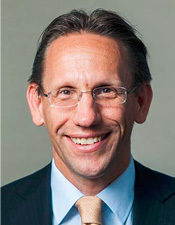 2014 – 2018 he had the role of the Co-Chief Executive Officer of Goldman Sachs AG and Managing Director of the Frankfurt branch of Goldman Sachs International. 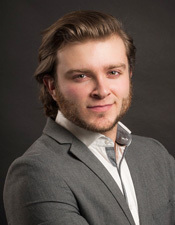 Florian is Managing Partner of Bamboo Capital Partners, Founder of Ryan-Kay and Board Member of numerous organizations. He holds a Bachelor of Business Administration, Master of Science in Marketing and different diploma on business and personal development. Florian leverages his extensive background on corporations, start-ups, fundraising and transactions in healthcare and private equity to invest in, build and (re-)position organizations in the competitive global marketplace. In particular his passion is around tech impact investing leapfrogging the underserved population in emerging markets and effective personal development methodologies to create high-performance teams. In addition, Florian founded medical education foundation in Mexico while supporting many NGOs, patient advocacy groups and extramural surgery programs in Central-America’s most remote locations. As active Member of the Young Presidents’ Organization and on the global Executive Committees of the Sustainable Business and Healthcare Industry Networks. 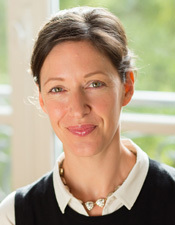 Fiona Banister co-founded and served as Managing Director of Housing MicroFinance LLC (HMF), an international consulting company providing strategic and advisory services to development agencies, funds and foundations in the areas of economic development related to the UN Sustainable Development Goals (SDG). Ongoing active projects are including building sustainable infrastructure, inclusive health, renewable energy, housing and microfinance. Clients and partners have included the Swiss Fund for Emerging Markets and FMO, the Netherlands Development Finance Co. Fiona empowers projects that support environmental and economic development in global communities. 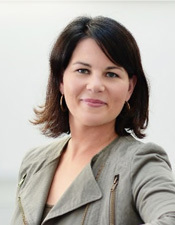 Fiona has 25 years experience representing companies with strategic advisory services in finance, sustainability, media production, marketing and distribution, technology, and public relations in over 20 countries. Fiona works with amazing impact teams and is involved with representing projects to global clients and is based between USA, Canada and lived in Asia and Europe. Motivated for change, she is an active member on multiple advisory boards and the Okavango Wilderness Conservation project “Mekoro”. She is innovated in sustainability and is involved with the Impact Assets Fund, where the focus of outreach is for water conservation, Waldorf/Steiner education, tribal medicine and environmental impact projects. Investing conference www.decarboniozed.org was curated to effect aligned investments into deep decarbonization technologies and grow the effect of active forest funds. 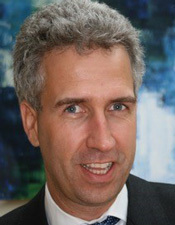 karsten Sach has a two law degrees and a doctorate in Law from 1993. Between 1984 to 1991 he was a researcher and lecturer at various universities, mainly on environmental law. 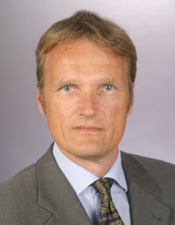 Since 1991 karsten Sach has been at the Ministry for the Environment, Nature Conservation and Nuclear Safety. Sach’s has been involved in the division “Protection of the Marine Environment, International Water Protection Law”, been environment Attaché of the Permanent Representation of Germany to the European Union, in Brussels. Further Sach’s has held the role of Deputy Head of Division “International Cooperation, Global Conventions, Climate Change”, Head of Division “International Cooperation, Global Conventions, Climate Change” and Deputy Director General “European and international Policy”. Since 2016 Sach’s is the Director General “International and European Policy, Climate Policy”, since 1999 Sach’s is German chief. 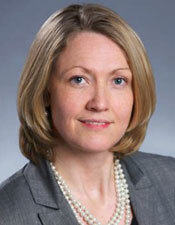 Jane Ambachtsheer is a Partner and Chair of Mercer’s Global Responsible Investment Business. She is responsible for overseeing the group’s strategy, developing intellectual capital across a range of responsible investment topics, and advising investors in Europe and North America. Jane was consultant to the United Nations through the development of the Principles for Responsible Investment (PRI), which are now supported by over 1900 signatories. 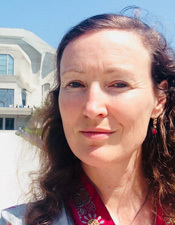 Jane is a member of the FSB Task Force on Climate-related Financial Disclosures (TCFD), a Trustee of CDP, and a member of the PRI Academic Working Group. Jane continues to produce new research and has been the author or co-author on a number of important papers and reports, including Mercer’s Investing in a Time of Climate Change (2015). In 2011, Jane received a Lifetime Achievement Award from the Canadian Social Investment Organisation. In 2014, she was named one of Canada’s ‘Clean 50’ leaders in the field of sustainable capitalism. Jane is an Honorary Research Associate at Oxford University’s Smith School of Enterprise and the Environment and an Adjunct Professor at the University of Toronto. She holds a Bachelor of Economics and English literature with honours from York University and a Master of Social Science from the University of Amsterdam. Jane lives in Paris with her husband and two daughters. Kristin Siegel is Senior Program Development Coordinator, 100% Impact Network, Toniic. Kristin joined Toniic with a focus on the portfolio approach to impact investing as she had six years of global expertise in multi asset portfolio management and client advisory before joining Toniic. While studying in the MBA program at Hult International Business School in San Francisco, Shanghai and New York, Kristin supported the Global Alliance for Clean Cookstoves, I-DEV International and Frontier Market Scouts in a program on screening and evaluating potential investees from across the clean cooking industry. Kristin participated in the Hult Prize 2015 Challenge and delivered a start-up idea to help solve early childhood education issues in Nigeria. With her team Water4Good she won the Global Hult Impact Challenge on Social Entrepreneurship with a project in Venezuela to improve the management and access of clean water. 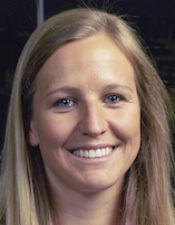 Before her MBA degree, Kristin worked as a Financial Wealth Advisor at Bank Julius Bär Europe in Germany. Kristin holds a BA of Economics and Business Administration from the University of Zurich and is a Certified International Investment Analyst and Financial Planner. Kristin now lives in San Francisco.